Ford Motor Company and Amazon have collaborated to bring the latest AppLink app — Ford+Alexa —to Ford SYNC-3 equipped vehicles. When connected to SYNC 3 AppLink, Amazon's cloud-based voice service provides hands-free access to a variety of features and capabilities. Just say the word! Use the following as your guide for the requirements and setup to help owners get stated with Ford+Alexa, for enhanced connectivity and efficiency behind the wheel. Many venefits of Alexa are available without having to have an in-home Alexa device. Download Ford+Alexa from App Store® or Google Play™. Sign in ror create an Amazon account. Using Alexa with SYNC 3 is simple and hands-free — just ask, and Alexa will respond. 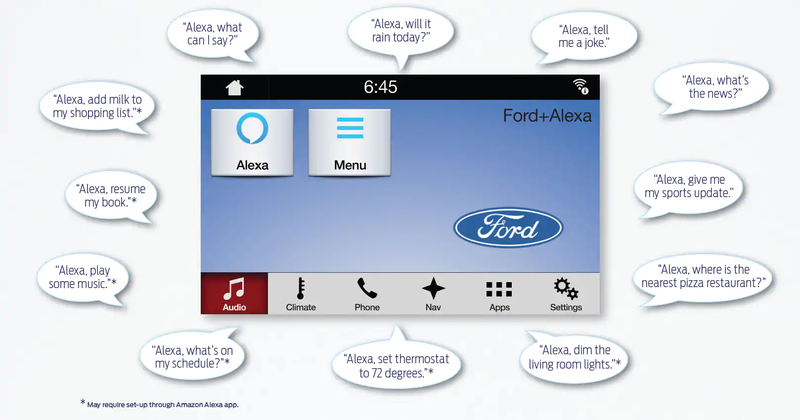 www.Owner.Ford.com's AppLink Catalog Ford+Alexa App: Help from in-app "Menu"
Don't drive while distracted. Use voice-operated systems when possible; don't use handheld devices while driving. Some features may be locked out while the vehicle is in gear. Not all features are compatible with all phones. SYNC® 3 AppLink® with Ford+Alexa App is compatible with select smartphone platforms and requries any compatible apps to be installed and running ona capable smartphone while connected to Ford SYNC. Apple, iPhone and the Apple logo are tradmarks of Apple Inc., registered in the U.S. and other countries. App Store is a service mark of Apple Inc.
Android, Android Auto and Google Play are trademarks of Googine Inc.
© November 2017, Ford Motor Company. Specifications and descriptions contained within are based upon the most current information available at the time of release. 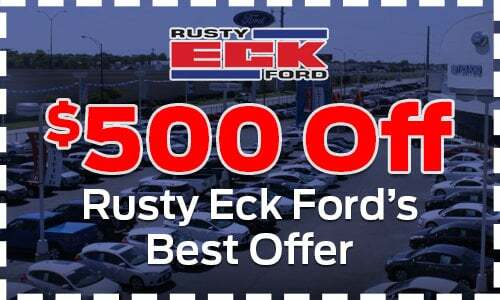 Intended for use by dealership personnel to inform consumers.